The concept of an affordance was first coined by psychologist James J. Gibson in his 1977 book, “The Ecological Approach to Visual Perception.” Essentially, an affordance is a quality or feature of an object, or of an environment, which allows an individual to act. For example, the handles on a teacup enable it to be lifted without getting burned. All learning technologies have a set of affordances that make actions possible while limiting others. If we look at three different learning technologies–a physical classroom, self-paced eLearning, and mobile learning, we can immediately see that the actions of both teachers and learners are enabled, shaped, and also limited, by the features of each of these technologies. My colleague Chad Udell has already written about several of affordances in a series of articles on this blog. And, I’m sure there are other affordances of mobile devices and environments that can be identified and discussed in terms of their usefulness in learning and development. The future will also bring new functionality we haven’t even thought about to the mobile world. 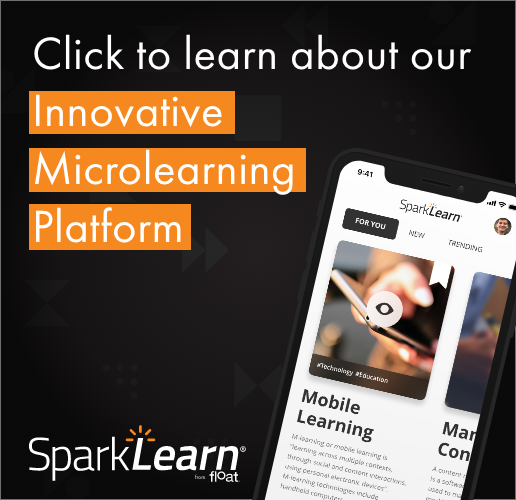 As instructional designers, it is important that we understand these various possibilities before embarking on the design and development of mobile learning experiences. Learning is complex, and the design of effective learning materials requires an understanding of objectives, the capabilities of the technologies and environments we are in, and the kinds of learning activities that both motivate and teach in a way that is engaging and memorable. If you need help in designing mobile learning activities, please call us at Float. We’re here to help. Mobile Tracking and Assessment of Informal Learning: Part of a Revolution?